Hamilton May presents an apartment available for sale in a prestigious investment, surrounded by the beautiful greenery of Warsaw's Powiśle. 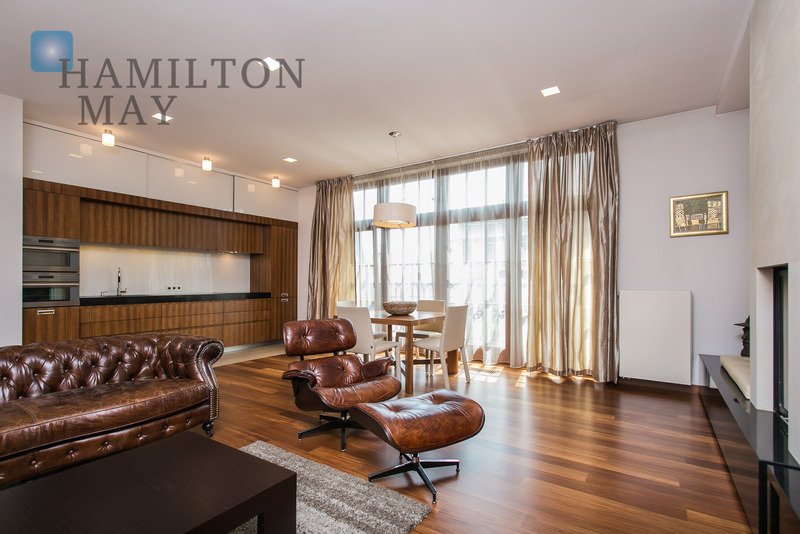 Hamilton May presents a spacious apartment available for sale in a prestigious investment. Hamilton May is pleased to present a bright and spacious apartment with 4 bedrooms located on the border of Śródmieście and Wola, in one of the fastest developing areas of Warsaw. Hamilton May presents a property in developers standard ready for individual arrangement in the prestigious Mennica Residence investment. Hamilton May presents an apartment of 130m2, located just off the Politechniki Square. Hamilton May is pleased to present a spacious, two-level apartment with four bedrooms, garage and garden, offered for sale in Wilanów - Zapłocie. Hamilton May is pleased to present a comfortable apartment available for sale in the very center of Warsaw, offering a beautiful over the surrounding area. Hamilton May is pleased to present a 3-bedroom apartment available for sale. The property is ideal for investment clients or companies looking for accommodation of their rotating employees. Hamilton May presents a luxury penthouse with an amazing view of the business panorama of Warsaw. Four bedroom apartments are generally less popular in Warsaw, as most apartments made for the local market have a smaller configuration. Nevertheless, Hamilton May has responded to demand for four bedroom apartments, mostly from expat tenants, and can source such apartments in various areas of Warsaw. An apartment with four bedrooms is referred to in Polish as a five room apartment, with no distinction as in English between a living room and a bedroom. The standard size of a four bedroom apartment in Warsaw is approximately 120-150 square metres, though developers have recently begun offering new apartments in the range of 80-120 square metres with this layout. Some older style apartments will also have four bedrooms, but with an overall compact size and very small room dimensions. Occasionally, larger four bedroom apartments (often in older tenement buildings) will be between in excess of 150 square metres and very large room sizes. Due to the increasing demand for four bedroom apartments available in Warsaw, Hamilton May always has a good selection of such apartments available for rent, despite their relative scarcity. Four bedroom apartments can be rented in all parts of Warsaw, from the city center to the suburbs, and in various standards, from basic to luxurious. The price for four bedroom apartments is determined more by the location and standard of the apartment rather than the size. In general, four bed apartments in high standard buildings in central Warsaw are priced in excess of 1m PLN, though they may be cheaper in the suburbs. A viable alternative for some buyers in Krakow is to purchase a house rather than a four bedroom apartment, though houses will generally be out in the suburbs and some buyers wish to have an apartment in the city centre within walking distance of amenities and sights. In most modern developments, buyers of four bedroom apartments will also be able to purchase at least one protected parking space with their apartment.